When visiting Houston, a charter bus rental quote will send you on an interesting, exciting and fun-filled tour of the Bayou City. Enjoy the newly renovated downtown Houston, a lively place be it day or nighttime, with a vibrant club scene, live musical entertainment and the best in professional sport venues. Revel in a city with a dynamic artistic community, including ballet, theater, opera and symphony orchestra performing year round. Only New York City has more than the 12,000 seats available any given time to indulge in a theatrical or arts performance. Houston is part of the Houston-Galveston-Brazoria Consolidated Metropolitan Statistical Area (Houston CMSA) an interconnected area of 8,778 square miles, perfect for exploring via charter bus. As the fourth largest city in the US, Houston and its surroundings offer opportunities to discover the history of the area, including Houston's founding August 30, 1836 near Buffalo Bayou by brothers John Kirby and Augustus Chapman Allen. Rely on your bus company to introduce you to unique destinations and features in the Houston area. Visit Space Center Houston, the official Visitor's Center for NASA and Johnson Space Center. Just 25 miles from the center of Houston, home of the drama and wonder of US manned space exploration. Sports fans can enthusiastically partake of one of the many professional or college competitions at state of the art facilities throughout the greater Houston area. Houston is home to many parks and natural areas, the Arboretum and world-class shopping, including the Galleria. A vibrant Museum District offers visitors a variety of interesting and eclectic destinations, cultural centers and art galleries. In any given year, 4 million people expand their understanding of the world with visits to one of the 18 institutions in this intriguing area, all within walking distance of each other. Visit our top ten fun things to do in Texas list! Many charter bus companies call the Houston area home, and you can plan any number of charter bus trips within Houston and to locations of interest around the area. US 45 and US 10 intersect in Houston, Texas. 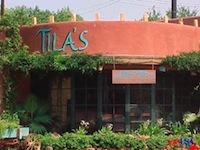 Popular restaurants you can visit on your charter bus Houston trip itinerary include Tila's Restaurante and Bar, Karl's at the Riverbend and the Monument Inn. No trip to Texas could be complete without a trip to the LongHorn Steakhouse, although The Barbed Rose Steakhouse and Seafood Co. and Ray's Grill are good choices as well. Houston is close to the Gulf of Mexico and within an easy charter trip to the music of Austin, TX. A leisurely trip to festive New Orleans or San Antonio is within your easy reach with your charter bus rental. Explore the coastal towns of Galveston or Corpus Christie on your charter. Enrich your charter bus trip by taking part in one of Houston's yearly events. Join in the Chevron Houston Marathon in January or the largest rodeo in the world in February. Tennis enthusiasts enjoy the U.S. Men's Clay Court Championships in April. October is famous for a trip back in time for the Texas Renaissance Festival. Finish up the year with the Texas Bowl at Reliant Stadium in December. You have clearly arrived at the top site for the best quote for a charter bus Houston tour of the Houston, Texas area. We can't wait to get you here.